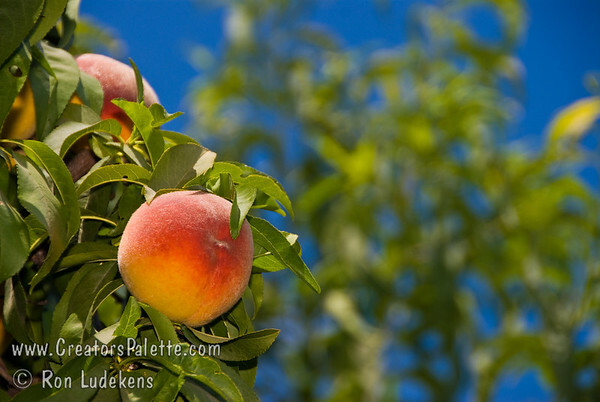 This peach was a new introduction through Louisiana State University from an Agricultural Experiment Station in 1980. We budded 6027 in 1981. We added this variety because it was very resistant to bacteriosis and brown rot. The fruit was developed to handle the warm summer rain on the Gulf Coast which spoiled most peaches in the area. Production: heavy, good size, good flavor on a vigorous growing tree with low 400 chill hours. This is a good variety for south Texas, southern California, and mild winter areas. At times we have neglected to sell where May, June, and July rain spoil peaches. The fruit is medium to large with round, dark red blush skin. The flesh is firm, excellent texture with sweet, tangy flavor. The flesh is yellow with red flecks. Fruit ripens in late June to early July.